Chapel Arts Cheltenham is a flexible arts venue, located in the thriving area of St James’. The former Baptist chapel has been modernised and restored to create a fantastic arts space which will allow for an array of events. Founded by Ian James, formally of Martins Gallery in Montpellier Parade, Chapel Arts will continue to bring exciting, contemporary paintings in a range of media along side interesting sculpture in wood, steel, glass and bronze. In addition the venue can seat in excess of 100 people, allowing us to include music, concerts, poetry and guest speakers. The space has been created with flexibility in mind, therefore providing a range of options from large full-height spaces through to small intimate meeting rooms. 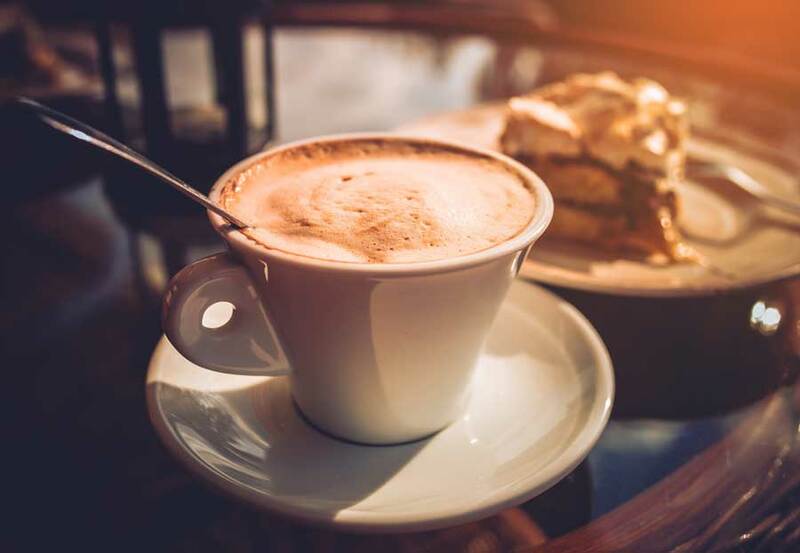 And of course, no good venue would be complete without a coffee break, so we hope you will stop by and visit us and stay for a cup and a tempting slice of freshly made cake at Coffee n Cake @ The Chapel. With the renovation of the old chapel, we decided the addition of a cafe would offer our guests a place to ponder and rest the legs after a good stroll around the gallery. Coffee ‘n’ Cake is situated towards the rear of the Chapel in a light and airy space with impressive vaulted ceiling and an ever-changing art display. Our coffee is ethically sourced straight from the farm and tastes incredible. We also offer a generous range of teas and other beverages to quench the thirst. As the name would suggest, we have a fabulous range of freshly baked cakes to accompany your fresh brew. Can’t manage a whole slice? Not to worry we offer ‘bite sized’ slices too. Complete with a range of great tasting allergy-free offerings. The first Baptist chapel was built in 1701, it was very small, about 38 feet by 20 feet. This first chapel was run by Tewkesbury Baptist Chapel. The Bethal Chapel as it was known was created when the Cheltenham Baptists separated from Tewkesbury in 1753. However the chapel had no permanent pastor until 1768, so many continued to attend church in Tewkesbury. The arrival of the new pastor Mr Dunscombe stabilised the chapel and the congregation grew. However, by the 1810’s the chapel was again without a pastor and numbers had started to fall. By 1785 it needed extensive repairs and by 1818 it was no longer considered viable and was demolished in 1819. 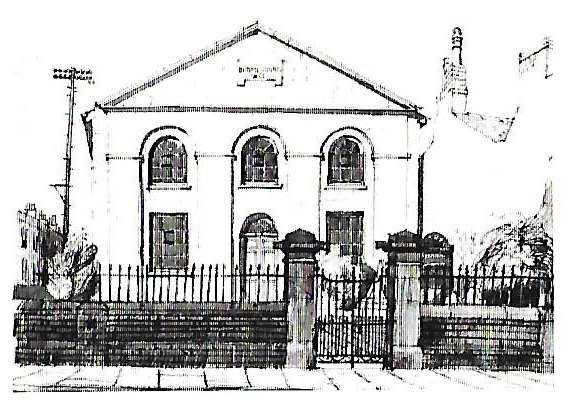 Under the leadership of a new pastor the church was replaced with the present building which was opened in 1820. The chapel congregation grew along with the town’s growth. Unfortunately, arguments over the direction of the church led to a split, with many members joining Highbury Chapel. Again in 1835 under the popular Pastor Rev James Smith a group split to form Salem Baptist Church. The chapel finally closed in 1951.